. 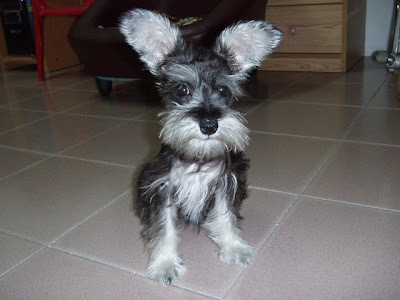 : Pets With Blogs :. 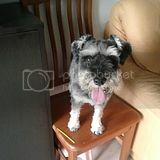 I'm a Miniature Schnauzer who blogs. How about you? Sorry I had to take a photo from my own blog. I'm sure you cant reject the above pic right? 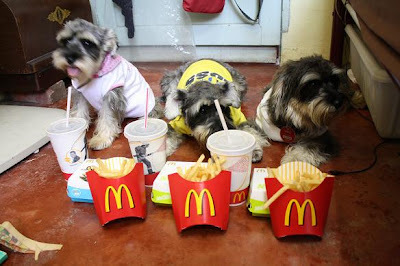 Hehehe... have you fellow furkids had McDonalds before? If you havent, you should try some. Picture taken from Vodka's blog. 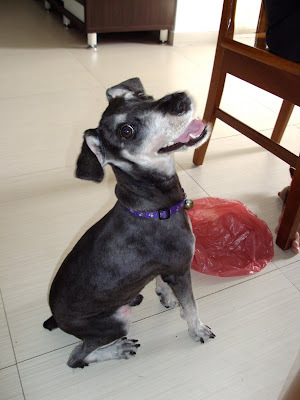 For awhile I thought Vodka looked a bit weird with that new haircut - but then again, despite the short hair, Vodka still looks cute. We love to read your blog, Vodka.. keep on writing!!! Picture taken from Santa's blog. I think that Santa deserves a big mention because Santa has got really really big ears!!! I think Santa can fly already if the wind is stronger. Ultimately, I think that Santa is super cute.. what do you think? Lucky&Dasiy The Coolest Dogs On The Web!